Downloading videos from YouTube and other websites as always been a little tricky for various reasons. Either you must install software on your computer or rely on buggy browser extensions that let you download the videos. But the tool or the set of tools that we are talking about today is different from conventional YouTube downloaders. 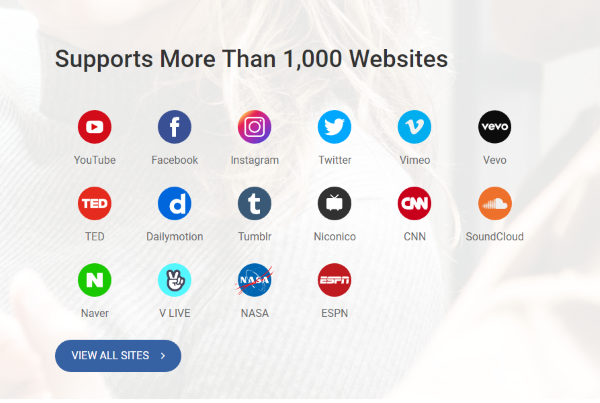 VidPaw is a free online video downloader that lets you quickly download your videos from 1000s of websites including YouTube, Facebook, Instagram, and Vimeo. VidPaw is offered as a free service and does not require any sign-up. The service is totally advertisement free as of now and works flawlessly well. Apart from a YouTube Downloader, the service does include a Facebook, Twitter and Instagram Downloader. And there is an additional tool available to download subtitles or download MP3 from YouTube videos. The review briefly covers all the features offered by VidPaw. Apart from being a YouTube downloader, the tool is also a YouTube videos viewer. 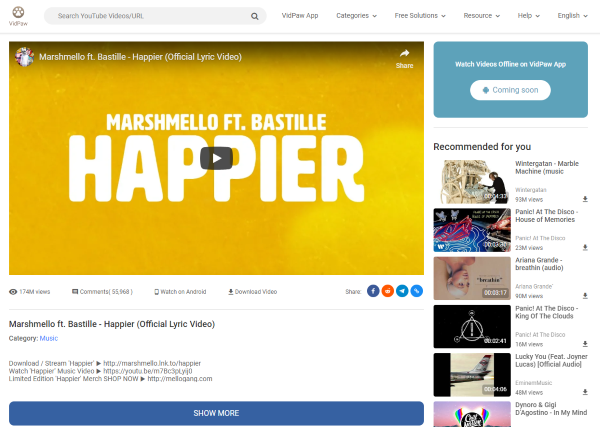 Complete search functionality is on offer which can be used to search the entire YouTube. The UI is amazing and responsive, which enhances the experience further. You can search for videos, view them in a YouTube browser player or read the description. Like YouTube, a recommended videos section is also there on the right sidebar. Once you have the right video opened, you can press the download button to explore all the download options that you have. The tool gives you options between MP4, MP3, 3GP and WebM formats. A special category for Audio formats is also there which lets you download just the audio in WebM and M4A formats. All these formats can further be downloaded in different qualities. The downloads happen directly from Google’s servers, and the downloading speeds are pretty good too. You can also download subtitle files for YouTube videos from the subtitles tab. The files are in STR format and available in numerous languages VidPaw helps you extract raw links of your favorite videos from YouTube. Do you feel that copying the link and pasting it to VidPaw is just an extra effort? Well, in that case also the tool has you covered. The tool gives you access to a shortcut method to download a YouTube video. All you need to do is replace youtube.com/your_youtube_link with youtubepaw.com/yout_youtube_link in your browser’s address bar, and you will be taken to VidPaw’s download page. This is a very nifty feature, and I plan to use it often in the future. The tool works very well with other websites too. You can download videos from Facebook, Instagram, Twitter, Vimeo and other popular platforms like these. The steps to download the videos remain simple as in case of YouTube Downloader. You need to copy the URL of the page which has the video and click on the download button. The program will show you various formats and qualities in which the download is available in. Select the right format and quality and click the download button corresponding to it. 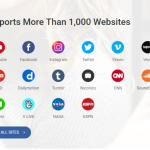 VidPaw claims to support more than 1000 websites, and I am pretty sure the website that you are looking for is in the list. VidPaw is an outstanding free service. It can be used to download videos from almost any website on the internet. The best part about this service is that it has no advertisements, no downloading limits and a variety of formats to choose from. Plus, the quick shortcut to download YouTube videos has added advantages. If you are lookimg for an efficient & safe online video downloader, VidPaw is the one you should be using!